The importance of health insurance coverage is undeniable in today’s economy. Health care costs are constantly going up, including veterinary health care costs. In the case of preventative health check-ups or even a health care emergency, you want to be sure all family members are protected and provided for – including those with fur. Without a good pet insurance plan, you could find yourself faced with a heartbreaking dilemma. Some veterinary procedures and surgeries can cost thousands of dollars. For most families, there’s just not enough money in the budget to cover such an expense. Planning ahead with pet insurance could literally add years to your pet’s life. There are many pet insurance companies currently offering pet health coverage plans. It’s vital that you take the time to make sure you choose the right pet insurance company and plan for your pet’s specific needs. Some breeds are more prone to developing certain diseases or disorders than others. In these cases, pet insurance is even more important. As well, covering your pet as early as possible is recommended since some pet insurance companies will not cover pre-existing conditions. Educating yourself about what your pet’s health future may hold is vital. This will help you make an informed decision as to whether pet insurance is worth it to you. You should also make sure that the pet insurance companies you’re considering have a strong history of satisfied clients. Many new pet insurance companies are popping up recently. It’s safest to choose one that has been in operation long enough to be considered trustworthy. For instance, Petplan Pet Insurance has been providing pet health insurance for more than 35 years and has built a reputation for reliability and quick reimbursement. 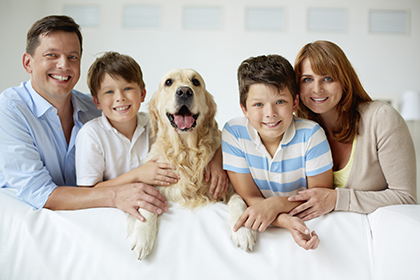 Choosing a pet insurance company such as this ensures they will still be in operation when you need them. Planning ahead and making sure your pet will be covered in case of accident or illness will give you peace of mind by significantly cutting costs of veterinary care. Just make sure to closely examine what will actually be covered by the pet insurance plan you are considering. Is pet insurance worth it to you? If your pet is truly a member of the family, there’s no question that you want to be sure you can provide adequate health care to keep your furry family member healthy and happy for as long as possible. Pet insurance can help ease financial burdens of veterinary care so you can make health care decisions for your pet based on necessity, not affordability. Bad “dog” breath: Learn how to prevent it! What’s in your pet’s tummy? HOW MUCH COST A HEALTH INSURANCE?